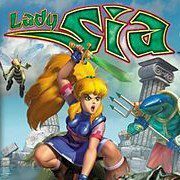 Lady Sia is a warrior that will show off during the game. Dodge troubles and collect bonuses. Lady Sia is waiting for your commands and you must assume control of the great warrior. Use sword to deal with enemies and dodge other troubles.